Pescatore, located at 955 2nd Avenue in Midtown East, is celebrating their 20th Anniversary by offering a special two-course dinner menu every Sunday until the New Years. The $20 menu features a bowl of marinated olives, a basket of peasant whole wheat bread, a house salad and a traditional Italian Parmesan dish. Each Parmesan entrée will include a choice of chicken, shrimp, veal, meatball or eggplant over homemade pasta, topped with Pescatore’s famous homemade sauce and served with toasted garlic bread. 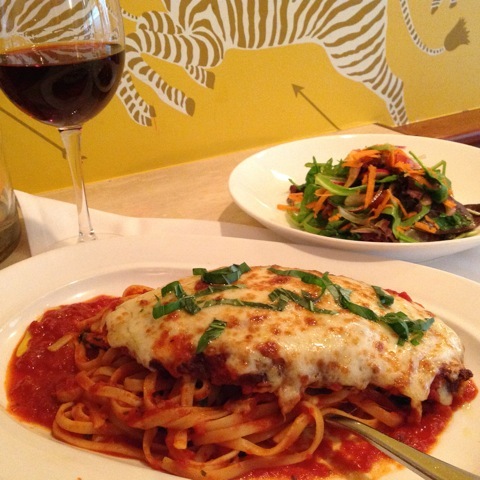 There’s an option to pair it with a glass of Italian white or red wine for an additional $5.